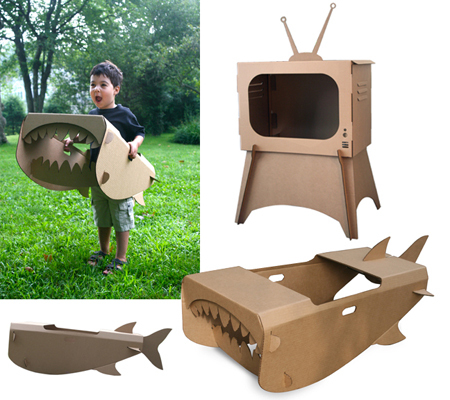 Created exclusively for Cardboardesign, BenBlancStudio has just recently launched the fold up shark and the puppet TV made of cardboard during the New York Gift Fair at the Javits Center. 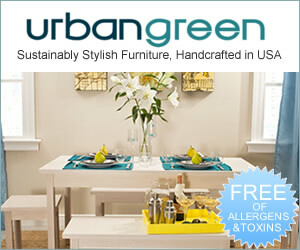 These cardboard toys provide so much fun to children because kids can freely assemble the toys, paint, draw, and play. In addition, these toys are made from a chemical free, recycled, and recyclable cardboard, which made these fun and exciting toys an eco-friendly one. Each of these toys are easy to assemble without the use of any tools or glue, and when the useful life of these toys come to an end, users can easy have it flat packed and store away or have it returned to the recycling bin.